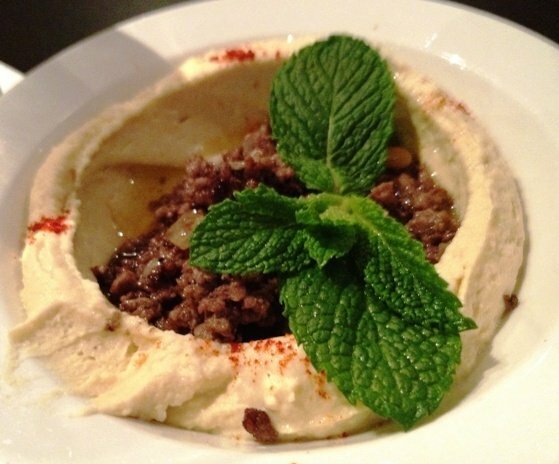 A Taste of the Mediterranean, Gravy and Sitti in Raleigh! When most people think of Empire Eats restaurants, the focus is on The Pit and Raleigh Times, two old-school standby’s! But don’t forget about two of their smaller restaurants, Gravy and Sitti. Who can ever complain when you’ve got a great bowl of pasta or fresh hummus in front of you? Both Empire Eats restaurants are great options if you’re catching a movie at IMAX or a show over at the Progress Energy Center. 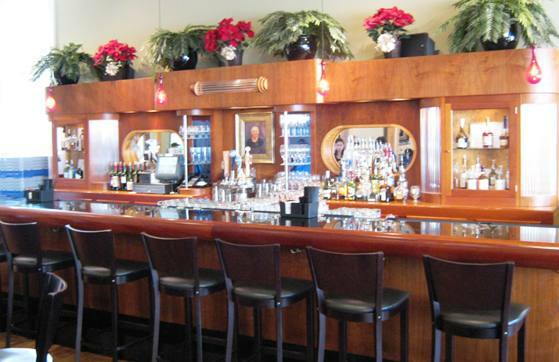 You’re guaranteed excellent food with professional service and great atmosphere at a fair price. So if you’re up for some rustic Mediterranean food from Italy and Lebanon, read on! Grab the menu and you’ll notice all your Italian favorites. 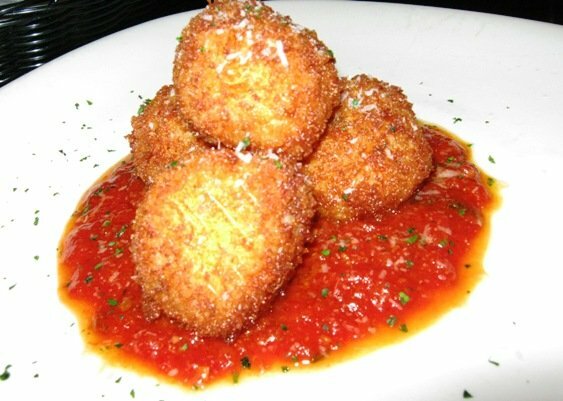 Start with their oh-so-good arancini: fried risotto balls with melty fontina cheese. These carb-bombs are crisp, luscious and savory in a small form-factor. Soak them in a bit of gravy (marinara) sauce and you’ve added some acidic tomato to the taste party, wonderful! Their pasta here is solid, reinforced by their delicious “gravy”. 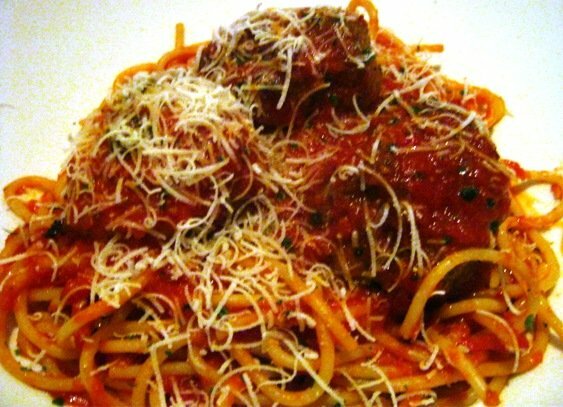 Stop in on Sunday night for their beer and balls special and you’ll get a wonderful plate of spaghetti with their specialty meatballs for $7. And if you’ve still got some appetite left, finish things off with some decadent tiramisu complete with candy crown. While Gravy may not be the BEST Italian food I’ve had, it’s quite good and the whole place just works for me. 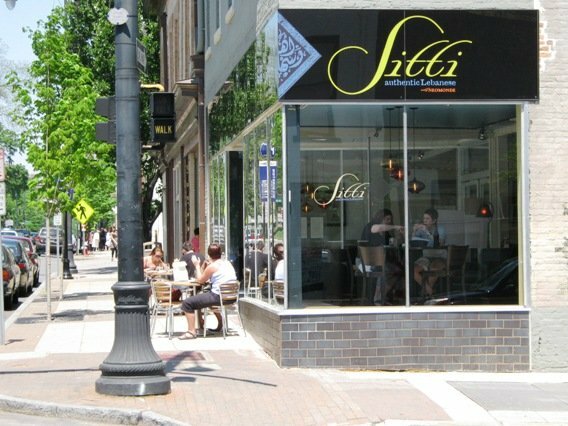 Next door at Sitti, you’ll find a more open but equally welcoming ambiance. The store front is plate glass windows and spartan due to Sitti’s origins as a converted grocery store. But inside it’s full of rustic wood and charm. 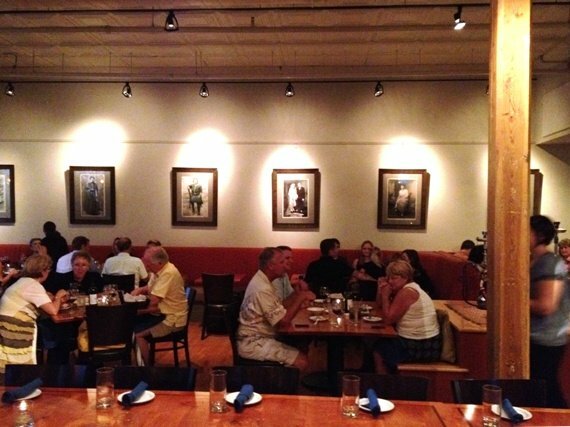 Vintage family photos line one wall, a large communal table down the center and a nice bar area to the right. I love the corner catbird seat which makes you feel as if you’re right on S. Wilmington Street! The menu is basic Lebanese fare, I love their hummus. Creamy smooth with the slight bite of lemon, I add the beef-lamb meat on top (hashwi) and use their poofy bread for dipping. 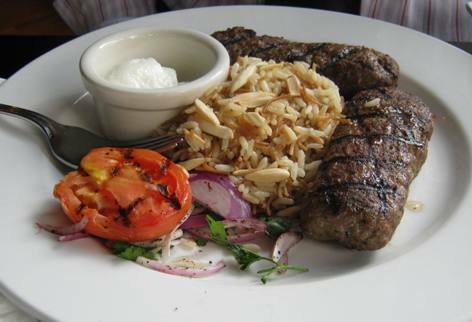 I’ve had their shwarma and kafta kebab which have both been full of fresh flavor. Sitti handles the details well, their fries are dusted with sea salt and herbs, while their fluffy Sitti rice pilaf is lightly seasoned. 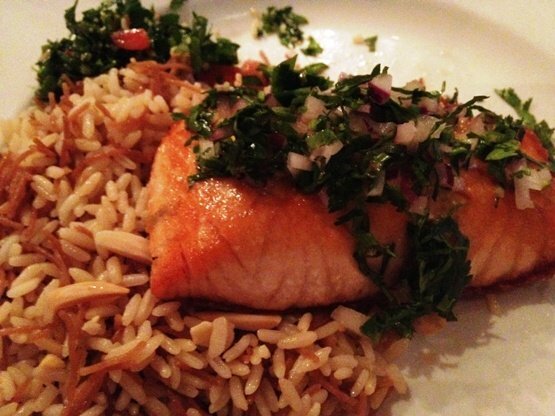 The samkeh harra (broiled salmon) was perfectly cooked and spiced with tahini sauce and cilantro, yum! They also dabble in some non-traditional foods (ribeye steak) just to keep you meat-eaters happy! 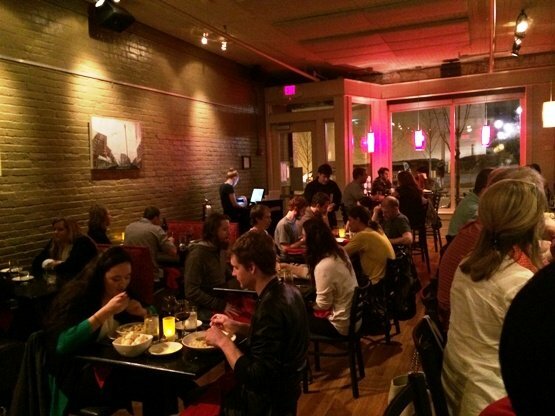 Sitti is a great spot for a business meal, date or just some people-watching. So if you need a taste of the Mediterranean, head on over to the Empire Eats corner but just keep on walking by the Raleigh Times! Because as much as I may like their cheesy fries and beer, the fare over at Gravy and Sitti is another level up. Simple, fresh, well-executed with great service, you can’t go wrong with either of these two places. Italian or Lebanese, they’ll have you feeling as if you’re enjoying a great meal near the Mediterranean Sea, bon appetit!